I know, I know… the chapter was just getting started and then, whoops, Christmas comic. After this one, I promise I will stay on target getting pages done. 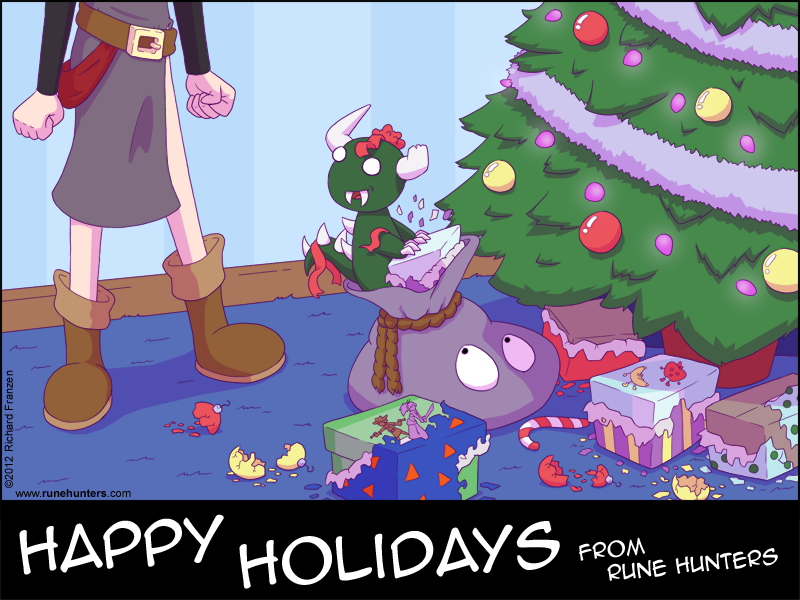 In the meantime, just enjoy some holiday cheer as the hodag innocently ruins all the Christmas gifts. This comic was partially inspired by my new cat, who already loves plucking ornaments off the tree. He makes me worried that there will be bite and scratch marks all over the wrapping paper come Christmas morning.